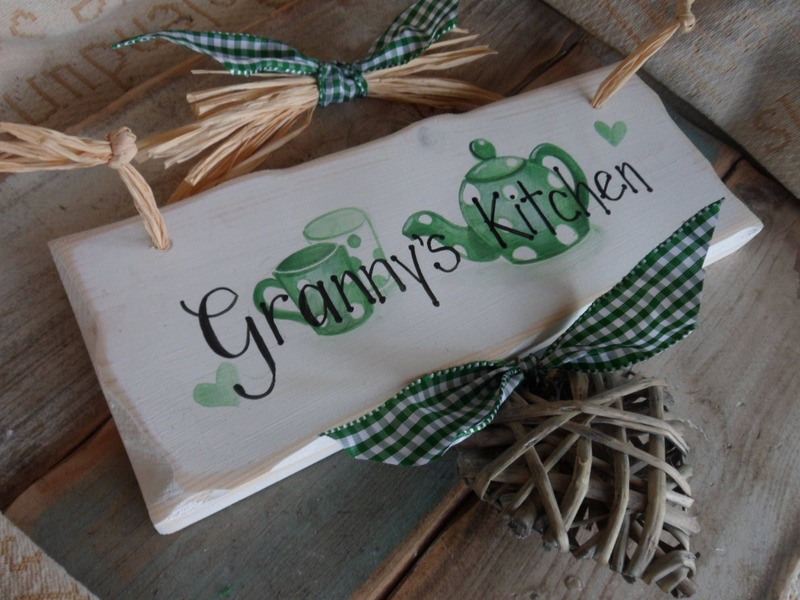 This is a Handcrafted Wooden Plaque that would look fabulous in your own home or would make a wonderful, thoughtful gift for that “special someone” in your life. This plaque comes with an illustration of a teapot and mugs in the background. 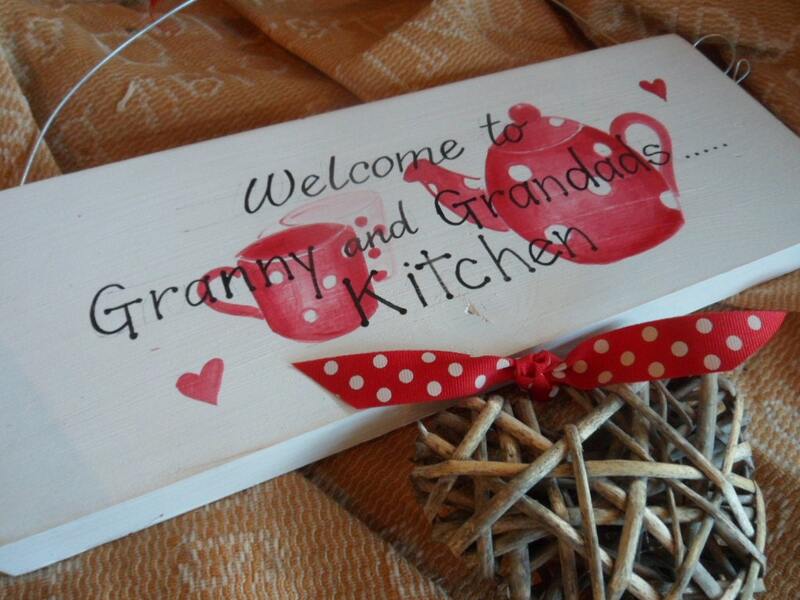 Across the plaque it reads Welcome to Gran and Grandad's kitchen. Each wooden plaque is made individually by myself, no MDF. 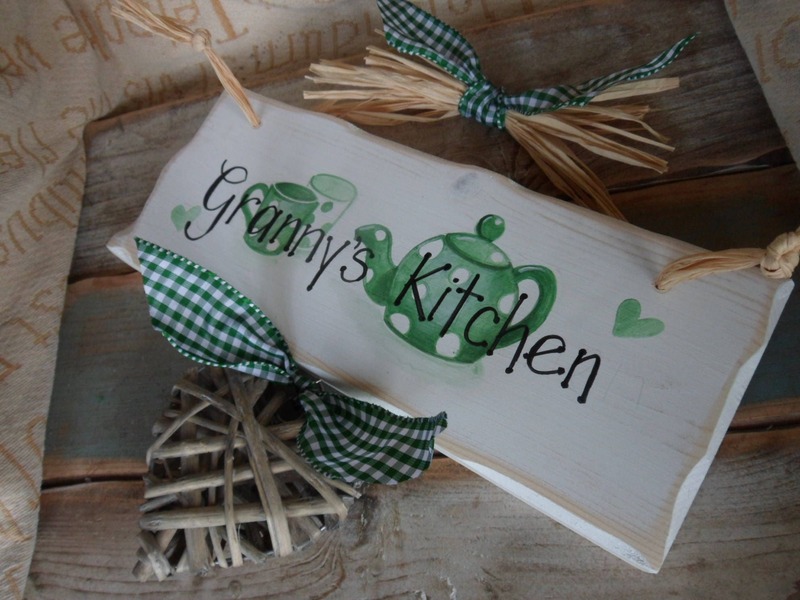 It is hand painted in a shabby chic style and sanded back to reveal a little wood grain. This one has a central wicker heart, but each can be personalised with little white hearts with your grandchildrens names. All finished with ribbon and raffia and ready to hang. 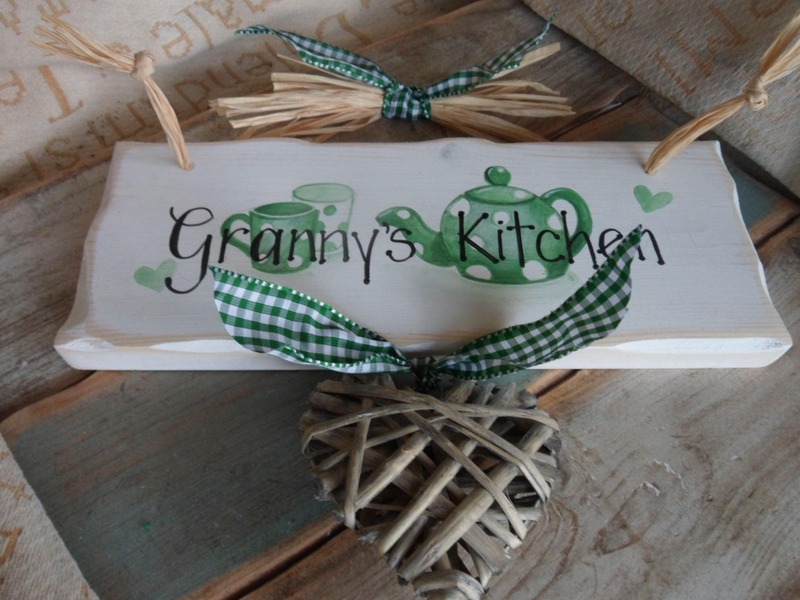 We can provide wonderful handcrafted wooden plaques for any occasion or any named person. 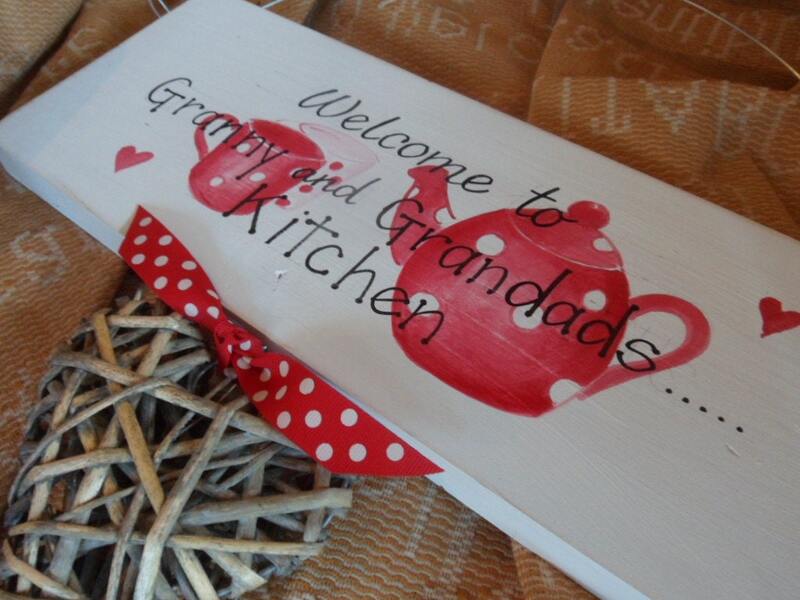 Please contact us directly with your bespoke and personalised orders, we would love to be able to help. As with all our signs this one is completely handmade by me, so individual markings , wood grain and decor may differ slightly from sign to sign.